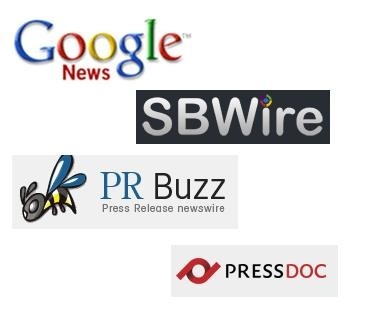 Sbwire and PressReleasePing are the two most highly visited Press Release webs. They also syndicate your press release to tons of other news media, blogs, social networks, etc. You will receive a great amount of traffic. Press Release is a great and proven way to market your business and get backlinks and quality traffic at the same time. Will provide live links once PR is approved - One image Allowed only for $20 gig extra - Upto 3 Anchor Texts Allowed - I don't submit Adult or Gambling related PRs. Service Extras: Make Your Press Release Go Viral With The Newly Added Service Extra - Guaranteed Submission to 250+ News Sites and Blogs Plus Social Media Distribution For Backlinks All Coming From High Authority News Sites for only $20. For an extra $10, I can also write an original 400 words Press Release. If your PR wont be written according to press release guidelines it will be rejected on Sbwire. Submit your Press Release to Sbwire and PressReleasePing Top 2 Paid Press Release Websites is ranked 5 out of 5. Based on 227 user reviews.